To you, it might look like just another pile of firewood. To me, it looks like heaven. 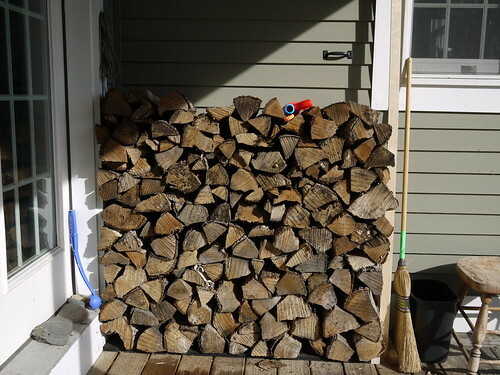 It means a winter of never having to go out into the wild weather to fetch wood from the woodpile. It means not having to kick the pile to separate the frozen logs while I’m in the middle of a work day. It means not having to bring the snow and dirt into the house along with logs. Heck, I might not even have to put on a coat. Instead, I can just step out onto the covered porch and take a log. A dry log. 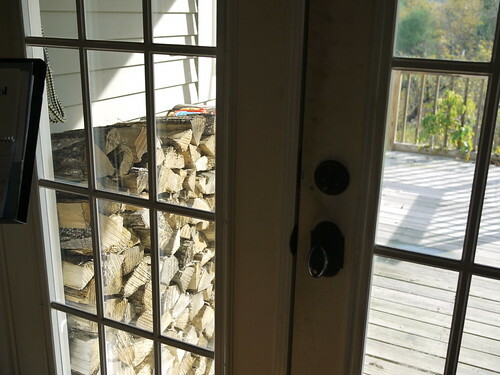 If I had arms as long as M’s, I could just reach out from the open door and snag a log without touching the porch.